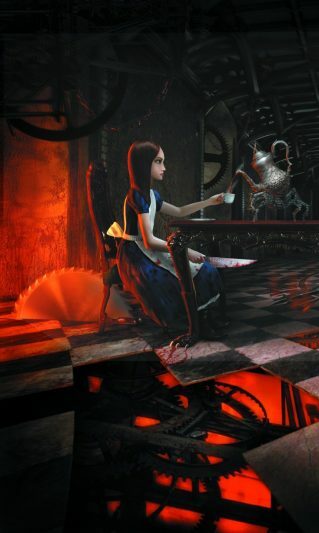 Shortly after Alice returned from the miraculous trip through the Looking-Glass, her house was burnt down, and her parents died in the fire. Alice was the only survivor of the terrible accident. After repeated attempts at suicide, she gets locked up inside a mental institution and is slowly wasting away there before she is summoned to Wonderland again by the White Rabbit. But this time it's a Wonderland gone seriously bad and gory. The only chance for Alice to restore her peace of mind and find out more about the death of her parents is to fight through Wonderland and free it from the evil powers.